Since giving birth 17 months ago it is only on rare occasions that we get to see the gorgeous Penelope Cruz and her little man in the public eye. She was spotted yesterday at Madrid airport with husband Javier Bardem, 43 and their Son Leo as they took time out from their busy schedules to spend some quality time together as a family. Penelope, 36 looked to be completely smitten with her toddler as she showered him with kisses and carried him into the terminal. She was dressed casually in black trousers and matching vest. Hilary Duff was pictured yesterday enjoying a spot of retail therapy, and the new mother looked positively beaming. Wearing skinny jeans with summer wedges and a trilby, the Mickey Mouse club star was in great spirits as she hit Niketown in Beverly Hills. The 24 year old has been in no rush to loose the baby weight and is taking a healthy approach to re gaining her pre pregnancy figure. Instead she is concentrating on her new family and doting on her adorable little boy, Luca. There are continued reports that supermodel Gisele Bundchen is expecting her second child, and the latest images of the Brazilian beauty certainly add fuel to the fire. She has been pictured on a number of different occasions dressed in loose fitting tops, and just this week was pictured at Green National Festival event in Rio de Janeiro, Brazil, holding her stomach rather suggestively. Arriving at the Ivor Novello awards yesterday Take That's Gary Barlow and Mark Owen were left in the shade as the spotlight turned to their wives and their expanding baby bumps! Katherine Heigl and her husband, Josh Kelley, were picture in Los Feliz over the weekend with their new baby girl. The Hollywood couple adopted their second daughter back in April and were keen to show her off to friends and family as they celebrated Mother's day. Ultimate yummy mummy Charlize Theron took to the skys yesterday, as she and her adopted son Jackson boarded her private Jet back to London. She has spent two days in the French capital on a promotional tour with her latest movie, Snow White and the Huntsman. Charlize, 36, adopted little Jackson earlier this year and is often pictured out and about with the tot in tow. As a single mother she also has support from her own mother Gerda, who is always on hand for extra babycare duties. 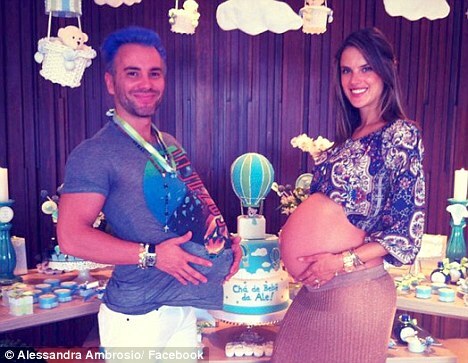 Alessandra Ambrosio has given brith to her second child, a baby boy. The Victoria's Secret model and her fiance, Jamie Mazur, welcomed Noah Pehonix into the world on Monday afternoon. The couple are reported to be over the moon. Jessica Simpson has given birth!! The news was announced today via her website, where she revealed to fans that her baby girl was finally here.